The Rubberbandits shot the final scenes for their latest music video “I Wanna Fight Your Father” in Dublin’s Liberties, namely Arbour Hill boxing club and the South Studios. The IFTA winning comedic hip-hop trio comprises of Limerick lads who attended the prestigious Ardscoil Ris in Limerick. The new single was officially launched last Thursday at the Dublin Institute of Technology, Bolton Street. There, the band gave an impromptu performance to a 3,000 strong crowd. There was controversy over the filming of their first video, the six million hit YouTube sensation “Horse Outside” which was filmed in the contemplative centre of the University of Limerick. The chaplain, Reverend Koenraad Van Guucht, claimed that the Rubberbandits “weren’t up front” with him as to “the nature” of the video. However, there were no such qualms this time around. Ronnie Wood, manager and Secretary of Arbour Hill boxing club, said “the Rubberbandits are very nice people”. 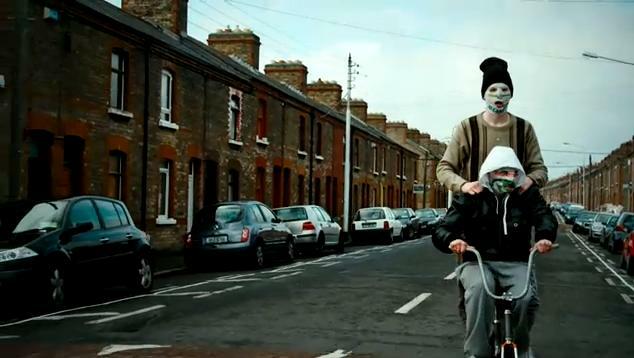 The Rubberbandits used a ten-man film crew, more than 60 extras, three animal wranglers and 500lb of cod to film their second video in the Liberties.